Fight for My Way tells the story of two longtime friends stuck in the everyday grind of their jobs, but they dream of being more. Ko Dong Man (Park Seo Joon) dreams of being a mixed martial arts fighter and Choi Ae Ra (Kim Ji Won) wants to be a TV anchor. These two also deal with the transition of their relationship from friends to lovers. 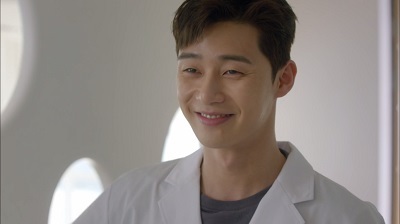 Park Seo Joon plays Ko Dong Man who is unhappy with his current job situation. He had put his dream of becoming a mixed martial arts fighter on the back burner for years, but he eventually decides he will not be happy unless he pursues it. Of course, it’s not an easy journey, and he is met with many obstacles on his road to achieving his dream. Kim Ji Won is Choi Ae Ra who is also unhappy with her job. She longs to be a TV anchor, but her lack of education and experience seem to make this an impossibility. Her journey to achieving her dream is also a bumpy road, but it’s one she goes on with the support of her friend Dong Man. We then have Dong Man and Ae Ra’s close friends Kim Joo Man (Ahn Jae Hong) and Baek Seol Hee (Song Ha Yoon). They have been dating for years, but their relationship begins to grow stale and several outside influences add to the problem. We also get to watch Dong Man and Ae Ra progress from being friends to lovers throughout the drama. Their relationship consists of a whole lot of bickering. I mean A LOT. But they definitely have their heartwarming moments where they support each other which was very touching at times. But I did think it took way to long to get around to Dong Man and Ae Ra actually becoming a couple. They stayed in the friends stage for two thirds of the drama with very slight forward movement in the relationship department. I just tend to prefer couples to get together before the halfway point in the drama and then deal with problems that affect or prevent the couple from being happy. Of course when they finally do become a couple, those other things start to get in the way pretty quickly. I just felt like we didn’t actually get enough time with them being a romantic couple. For multiple reasons, I also found that I suffered some major second lead syndrome. Since Dong Man and Ae Ra are just friends though clearly denying their feelings for the first half of the drama, we had Ae Ra dating someone else by the name of Moo Bin (Choi Woo Shik). This was a lot of time for them to be together. But the major reason for my second lead syndrome was simply that I adore Choi Woo Shik! He’s just so sweet and adorable that I just can’t help but like him! 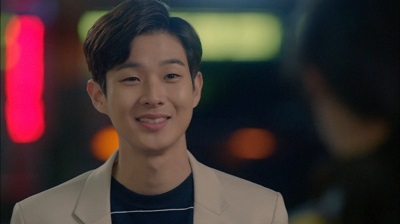 Minor Spoiler in Italics: Now I was fully aware from the beginning that Moo Bin was a dud, but I still liked him because of just how much I enjoy Choi Woo Shik. I just couldn’t help it, he’s the epitome of a sweet, slightly nerdy, adorable guy. I wish he wasn’t so scummy, but I got a lot of enjoyment out of that relationship, lol. Joo Man and Seol Hee also take us through the challenges long time couples sometimes face. Sometimes people change and they also take the other person for granted. Sometimes a third party comes in between the couple. I really wished that this couple would communicate with each other so as to avoid so many unnecessary issues. I’m usually pretty good with lack of communication between couples in more dramatic dramas, but in a more slice of life drama, it just got to me a bit. But overall they were a cute couple that just needed to face some of life’s challenges together. We spend time watching as Dong Man and Ae Ra pursue their dreams. Dong Man works to become a mixed martial arts fighter while Ae Ra wants to become an announcer. I thought these plot points were under developed, but I was glad they were there to add something more to the story. While the drama as a whole is very much slice of life, things do take a bit more of a dramatic turn in the last quarter of the drama. It gave things a different overall feel compared to the rest of the drama. 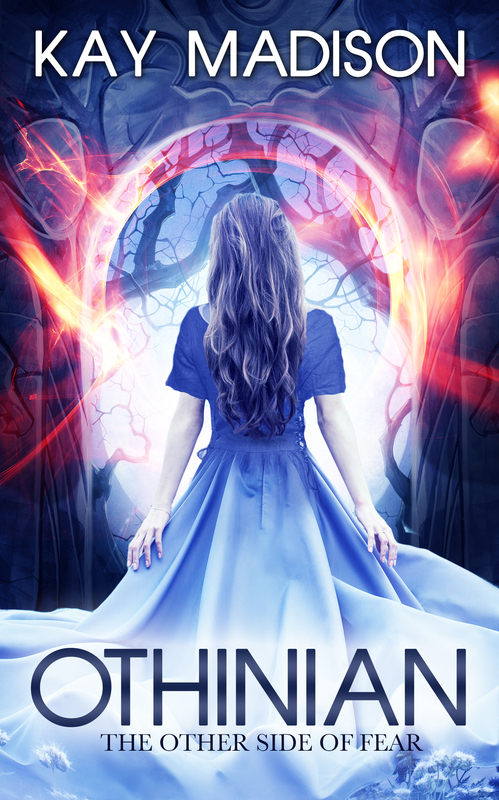 I wouldn’t say it was necessarily good or bad, but it was certainly different. While I found Fight for My Way to be pretty average, it does have plenty of good things to enjoy. If you like slice of life dramas or friends to lovers stories, definitely give this one a look. 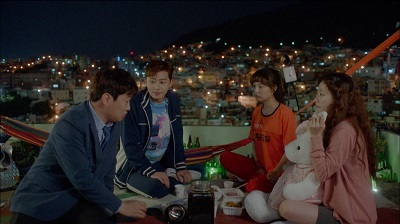 This entry was posted in Reviews and tagged Ahn Jae Hong, Choi Woo Shik, Fight for My Way, kdrama, Kim Ji Won, Korean Drama, Park Seo Joon, Song Ha Yoon, Third Rate My Way. Bookmark the permalink. I thought this was a very nice K-drama in the K-drama scene. I really enjoyed it although there were some parts in which the K-drama kind of lagged near the end. I really really like this drama.More new drama psj and kjw as fast as possible, please…. It was a nice drama 🙂 I’ll be looking forward to more of Park Seo Joon and Kim Ji Won too!